We are all out looking for a perfect recipe for Fathers Day or July 4th right now, but I a perfect recipe for a holiday or EVERY day! Hellmann’s, one of my very favorite “secret” ingredients in moist chicken, is the only way to serve up Chipotle-Lime Crusted Chicken Tenders, that contain a hint of spice wrapped in a layer of Fiesta Crunch. Combine Hellmann’s® or Best Foods® Real Mayonnaise, cheese, lime juice and ground chipotle in medium bowl. Stir chicken tenders into Mayonnaise mixture to coat all sides. 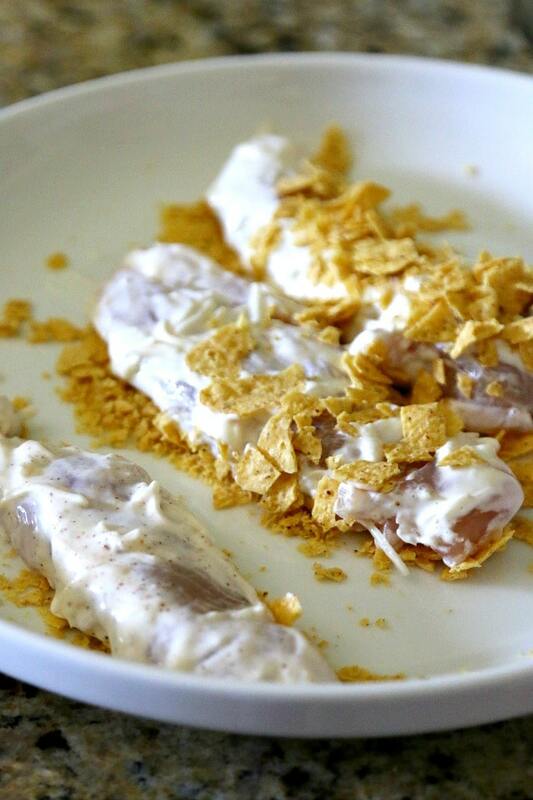 Roll or toss tenders in tortilla crumbs, pressing crumbs into chicken. Arrange chicken on baking sheet sprayed with no-stick cooking spray. Bake until chicken is thoroughly cooked and tenders are crunchy, about 15 minutes. Easy dinner! Even the kids would like these.